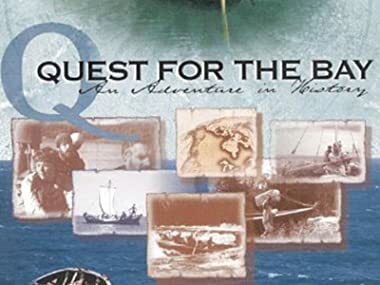 Quest For The Bay follows an eight-person volunteer team as they attempted to recreate the journey made by fur traders of the Hudson's Bay Company during the 1840s by travelling from Winnipeg to Hudson Bay. The trip covered a distance of 800 miles (1200 kilometers) and took the team though the heart of the Canadian wilderness. Alana Logie, Frank Logie, Ken Albert Jr.
We meet the successful candidates who have agreed to undertake the quest to the Hudson Bay. We learn about the dangers of the quest, and follow the crew in their initial week of the journey. The arduous task of rowing the York boat to the Hudson Bay begins under a searing, hot summer sun. The heat and insects begin to take a toll. They arrive at the Cree community of Norway House at the top of Lake Winnipeg. The crew leaves the security of Norway House, as the York boat sets out into the northern wilderness. The spirit of the group cracks under the intensity of the portage as the good weather turns to a torrential rain. The crew have reached the magnificent Hayes River. The spirit of the group is threatened by a leadership struggle between two strong, but different men. Tired and hungry a decision is made to run a dangerous set of rapids and calamity occurs. The boat has been destroyed, the group fragmented. The team battles illness, distrust, and the approaching arctic cold to keep their dream alive of completing their Quest for the Bay.